The latest instalment of the Civilization series turned out to be pretty great, pleasing fans with its combination of addictive gameplay and historical detail. It was another great strategy game from the good folk at Firaxis games, and surely lived up to the franchise’s reputation of keeping players awake until late, hoping to play “one more turn” in their bid to conquer the world. Civilization VI also brought several improvements to the table, like the new “city districts” feature, and also the way that technological research was dependent on the map itself and your progress in the game so far (for instance, a coastal civ building lots of ships would have an easier time researching navigation-related technology than a landlocked neighbour). And as usual, Civilization VI features the usual slew of civilizations (civs for short) to play as, including classics like England and France, but also new ones such as Nubia and Australia are available in the game via DLC. However, Firaxis has announced that another civ is coming to the game soon. This civilization is the Khmer, led by historical character King Jayavarman VII. Like other civs in the game (such as Brazil which has a “great people” advantage, and France which can gain an advantage through espionage) the new Khmer civilization also has its perks and special unit to make use of in the game. 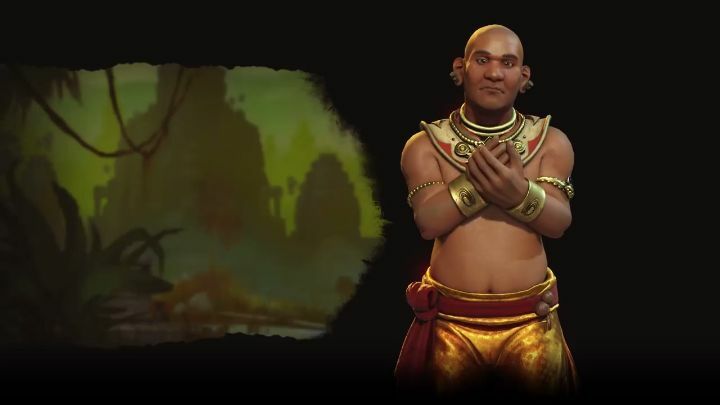 Amongst other things, those playing as the Khmer in Civilization VI will be able to take advantage of the fact that farms will yield extra food when built next to aqueducts, something that can give your civ a growth boost in the early game. Also, the Khmer have the Prasat. These replace ordinary temples in the game, and any missionaries produced here automatically have the “martyr” promotion, meaning that spreading your religion will be an easier task when playing as the Khmer. This civilization is no slouch when it comes to warfare either, thanks in part to their special unit, the Domrey. This is an elephant with ballista mounted on top, and has the advantage of being able to move and attack in the same turn, meaning the Khmer will be a force to contend with in the early game for sure. The addition of the Khmer to Civilization VI means there will be an even more varied roster of civs to pick from, then. This is something that will surely delight Civilization fanatics as there will be more strategies to try in the game from now on, helping cement Civilization VI’s position as the best game in the series to date.